Germany’s renewable energy transition, the “Energiewende,” has long been a subject of scorn among conservatives, who have argued that it is a massive ratepayer-subsidized boondoggle that has harmed Germany’s economy and imposed significant regressive costs on poor and working class energy consumers. But the last several months have seen growing skepticism about the Energiewende from the center-left as well. Both Der Spiegel and Slate have published lengthy investigative pieces raising troubling questions about the costs and the environmental benefits of Germany’s headlong pursuit of an all-renewable energy future. Even left-leaning Dissent Magazine recently published a long expose about the failure of the Energiewende to reduce carbon emissions, concluding that Germany’s enormous investments in renewables, together with plans to phase out its nuclear fleet, would cost the nation a generation in the fight against global warming. With great anxiety many citizens in our country are observing the progressive destruction of the countryside and the cultural-historically grown phenotype in the environs of towns and villages through the constantly increasing number of wind turbines. In addition, there are unacceptable worries for human-beings as well as a heavy depreciation of immovables and a danger to the animal world. With the exploitation of the wind energy a technology is being promoted which is completely insignificant for the power supply, the preservation of natural resources, and the protection of the climate. The public promotion funds could be far better spent on the increase in efficiency of the power stations, on the economical consumption of power, and on the scientific basic research in the field of energy. Only recently, the offshore wind industry was seen as an opportunity to regenerate Germany’s coast. But amid changing political attitudes and spiraling costs, several companies are struggling to survive. Is the wind boom over before it even really began? The new power plant 15 kilometers (9 miles) off the North Sea island of Borkum is a masterpiece of German engineering. In only 14 months, experts anchored dozens of giant rotors to the sea floor. The 150-meter (492-foot) wind turbines at the Riffgat offshore wind farm work perfectly. Providing clean electricity to 120,000 households, Riffgat was expected to become a milestone of the federal government’s shift away from nuclear power and toward green energy. 7.0 Requirements for clause 17(2)(c) are not met. Where there is an increased potential for risk to the species or its habitat or proposed overall benefit actions carry a higher degree of uncertainty, determination of the adequacy of the overall benefit plan will err on the side of caution in favour of affording greater benefits to the species or habitat. undertaking new activities than it is to correct environmental problems after the fact”. By issuing “Overall Benefit Permits”, it appears that the MNR would be failing to anticipate and prevent the negative environmental impacts outlined above. The MNR would also be failing to recognize the threat of significant reduction or loss of biological diversity associated with the issuing of “Overall Benefit Permits”. The action agreed to in the permits does not reduce key threats to these endangered species’ survival but rather compounds them. There is every reason to believe that the increased potential for risk to the species and its habitat or proposed overall benefit actions carry a higher degree of uncertainty. However there is no evidence to show that “determination of the adequacy of the overall benefit plan has erred on the side of caution in favour of affording greater benefits to the species or habitat”. 1. (i) There is no evidence that the mitigation plan has considered the cumulative negative effect of wind turbine development across Ontario in terms of collision mortality and habitat degradation to migrating passerines. (ii) Nor has it taken into account, the known species sensitivity to habitat degradation and fragmentation—the single most important factor in these species decline. (iii) The MOE and the MNR have not taken precautionary measures with regard to noise impacts from wind turbine developments on these species. Nor have they considered the masking effect of turbine blades which biologists believe is a threat to wildlife survival. (iv) The MNR makes no indication that it has considered noise from wind turbines including low frequency noise as part of the cumulative impacts analysis of the wind facility on these species which biologists have observed are sensitive to noise. 2. There is no evidence that the proposed activity meets the legislated requirements for an overall benefit permit as listed by the MNR in its Endangered Species Act Submission Standards for Activity Review and 17(2)(c) Overall Benefit Permits February 2012.
sensitivity to disturbance and functionality) that would be adversely affected by the activity”. 5. The MNR must also consider “the severity, geographic extent, duration and permanency of the potential adverse effects likely to result from the proposed activity”; likewise, the cumulative long term, geographically extensive and permanent effect (at least for 20 years = 6 generations of Bobolinks and Eastern Meadowlarks) of multiple wind developments in Ontario and the Eastern USA as an additional limiting factor for these species. 6. It would appear from the above that, given the sensitivity of this ecological system the proposed overall benefit actions are biologically and ecologically” inappropriate for the species given sensitivity to habitat fragmentation and noise disturbance. 7. In view of the body of peer reviewed scientific knowledge referenced above, there is no evidence that the proposed actions are based on the best available scientific information, another legislative requirement. the further decline of these species. 9. It has not been demonstrated that the overall benefit actions will improve the ability of the species at risk to carry out their various life processes; rather, in view of the scientific information available, quite the opposite effect is immediately foreseeable. 10. The MNR must recognize that “in some circumstances it may not be possible to achieve an overall benefit for the species”. R2.0 Economic, social, and scientific considerations. Under the Environmental Bill of Rights, Ministry decision-making must include “social, economic and scientific considerations”. commitment. Storage options being discussed will more than double this committed cost. Most of the $1.76 billion will go offshore to big multinational energy corporations. The construction of a 75-megawatt wind power facility on privately owned land on Amherst Island, in Loyalist Township, County of Lennox & Addington will not be of economic or social benefit to the Province. of $135 per MWH, whether the energy is needed or not. 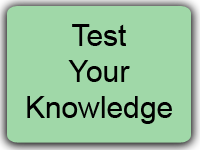 (3) Identified by the OPA, IESO, and Environmental Registry. unpredictability require fossil-fuelled back up operating inefficiently 24/7.4 The Ontario Auditor General noted that the government was warned in 2007 that new wind power would create higher green house gas emissions. 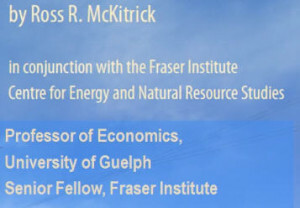  and a reduction in the Ontario demand of about 15 TWh due to the economic setback since 2006.
happening), which will require carbon emitting gas fired units to take up the slack when wind output falls, as it invariably does; or the wind generators will be paid to shut down (which also is already happening). The IESO has estimated this will cost consumers an additional $200 million a year. Thereis no rational economic or environmental basis for continuing to add more wind to the Ontario system. Ministry of the Environment and the Ministry of Natural Resources is doing nothing to defend sensitive environments from electricity generation industrialization. In every case it is left to private initiatives to mount a defence for sensitive wildlife habitats against what should never have been allowed under Ontario’s environmental legislation or Provincial Policy Statement in the first place. a Permitting Process in Search of the Precautionary Principle and the Principle of Subsidiarity”. Municipal and Planning Law Reports (Articles). 4th series, 2010. Citizens are increasingly expressing their anger and resentment at the Green Energy Act’s unrealistic and prejudicial reversal of onus clause which requires residents to prove harm to health and the environment before a development has even been constructed. Because the appeal must be submitted within 15 days of the project’s approval it is not easy to engage a lawyer or for him or her to prepare a case in time. This makes it virtually impossible to win an appeal. Tribunals have even adjusted hearing dates so that appellants’ lawyers were unable to present their cases because of previous commitments about which they had already informed the Tribunal. The growing number of approvals requiring citizen appeals through Environmental Review Tribunals is placing a huge additional financial burden upon rural residents. This process takes private citizen funding out of the community– money which could be more beneficially used for local needs. Rural citizens are forced to raise the funds for these courtroom contests, heavily weighted in favour of deep pocketed developers supported by teams of expensive lawyers. They also face a team of government lawyers opposing them—lawyers they themselves are paying through their taxes. The unfair appeals process itself is a source of growing frustration and bitterness for country residents. Energy poverty, however, is a social issue that extends also to the urban population. It is resulting from the relentless increase in electricity rates caused by the reckless and uncalculated government contract commitments for renewable energy. It is especially vexatious for households where a wage earner is unemployed, for low income families and the elderly on fixed incomes. The green association with skyrocketing electricity rates has already been responsible for the fall of at least one European government. The government’s ill-considered inflexibility insists that there are no adverse health effects from industrial wind turbines on the basis of the report by the Chief Medical Officer of Health—a report discredited by international medical professionals as flawed and based on an earlier industry-produced document. Those who are experiencing distress from turbines operating too close to their homes are outraged at repeated use of this report to dismiss their sufferings. They point out that it failed to consider all of the available research or even consult with actual persons living near the turbines. 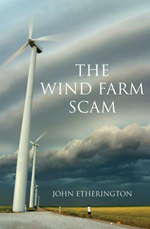 This ultimately untenable position has caused even more indignation now that a review by Grey-Bruce Medical Officer of Health, Hazel Lynne using more recent documents, has found 18 peer reviewed studies that found evidence of an association between wind turbines and distress among some people who live near them and three which indicated distress was dose related. Every time another turbine development is approved, public outrage in rural Ontario becomes stronger. Scores of municipalities have now indicated that they are not willing hosts to wind turbines. This is a huge social issue which, along with growing urban dissatisfaction at skyrocketing electricity costs and government waste through gas plant and other scandals is destined to have considerable repercussions in the near future. To issue an Overall Benefit Permit for the proposed Amherst Island project fails to protect and conserve significant wildlife habitat. It also contravenes existing provincial and federal legislation, fails to align with the Ministry’s own guidelines for issuing such permits, and wilfully misunderstands the body of scientific research that clearly demonstrates that habitat fragmentation and destruction leads to irreversible declines in threatened species and that providing alternative habitat is usually unsuccessful, especially in the case of these three species which are habitat sensitive. (27) The recent history of the MNR in dealings with wind farms has demonstrated a deplorable failure of due diligence and a breach of trust. The MNR is complicit in NOT protecting our environment. It should be remembered that the public are paying MNR wages, not the wind farms. Barrios, L., and A. Rodriguez. 2004. Behavioural and environmental correlates of soaring bird mortality at on-shore wind turbines. Journal of Applied Ecology. 41:72-81. Bayne, E., L. Habib and S. Boutin. 2008. Impacts of Chronic Anthropogenic Noise from Energy-Sector Activity on Abundance of Songbirds in the Boreal Forest. Conservation Biology 22(5) 1186-1193. Bollinger, E., and T. Gavin. 2004. Responses of nesting Bobolinks (Dolichonyx oryzivorous) to habitat edges. Auk 121:767-776.
hBrennan, L., R. Perez, S. Demaso, B. Ballard, and W. Kuvlevsky. 2009. Potential impacts of wind farm energy development on upland game birds: questions and concerns. Proceedings of the Fourth International Partners in Flight Conference: Tundra to Tropics, 179–183. COSEWIC. 2012. Canadian Wildlife Species at Risk. Committee on the Status of Endangered Wildlife in Canada. Desholm, M. 2006. Wind farm related mortality among avian migrants – a remote sensing study and model analysis. Ph.D. Thesis, National Environmental Research Institute, Denmark. Dooling, R. 2002. Avian Hearing and the Avoidance of Wind Turbines. National Renewable Energy Laboratory, NREL/TP-500-30844. 83 p.
Dooling, R. and A. Popper. 2007. The effects of highway noise on birds. Report to the California. Department of Transportation, contract 43AO139. California Department of Transportation, Division of Environmental Analysis, Sacramento, California, USA. Division. Agreement on the conservation of African-Eurasian Migratory Waterbirds (The Hague, 1995). Forman, R., B. Reineking and A. Hersperger. 2002. Road traffic and nearby grassland bird patterns in a suburbanizing landscape. Environmental Management 29:782-800. Francis, C., C. Ortega and A. Cruz. 2009. Noise Pollution Changes Avian Communities and Species Interactions. Current Biology, in press, doi: 10.1016/j.cub.2009.06.052. Griffith, B., J. Scott, J. Carpenter, and C. Reed. 1989. Translocation as a species conservation tool: Status and strategy. Science, New Series, Vol. 245, No. 4917: 477-480, 1989. Helzer, C. and D. Jelinski. 1999. The Relative Importance of Patch Area and Perimeter-Area Ratio to Grassland Breeding Birds. Ecological Applications – ECOL APPL , vol. 9, no. 4, pp. 1448-1458, 1999. Johnson, D. 2001. Habitat fragmentation effects on birds in grasslands and wetlands: a critique of our knowledge. Great Plains Research 11(2):211-231. Jamestown, ND: Northern Prairie Wildlife Research Center Online. Johnson, D. and L. Igl. 2001. Area requirements of grassland birds: a regional perspective. Auk 118:24-34. Johnson, R. and S. Temple. 1990. Nest predation and brood parasitism of tallgrass prairie birds. Journal Wildlife Management 54:106-111.
prairies. Pages 245-249 in J. Verner, M. L. Morrison, and C. J. Ralph, editors. Wildlife 2000: modeling habitat relationships of terrestrial vertebrates. University of Wisconsin Press, Madison, Wisconsin. Kaliski, K. 2009. Calibrating Sound Propagation Models for Wind Power Projects, State of the Art in Wind Siting Seminar, October. National Wind Coordinating Collaborative. Kingsley, A., and B.Whittam. 2005. Wind Turbines and Birds: A Background Review: Environment Canada / Canadian Wildlife Service, 81 pages. Kareiva, P., S. Andelman, D. Doak, et al. (14 additional authors). 1999. Using science in Habitat Conservation Plans. American Institute of Biological Sciences, Washington, D.C.
Kulevsky, W. 2009. Potential impacts of wind farm energy development on upland game birds: Questions and concerns. Proceedings of the Fourth International Partners in Flight Conference: Tundra to Tropics 179–183. Kuvlevsky, W., Brennan, L., Morrison, M., Boydston, K., Ballard, B., and Bryant, F. 2007. Wind Energy Development and Wildlife Conservation: Challenges and Opportunities. The Journal of Wildlife Management, Volume 71, Issue 8, pages 2487–2498, November 2007. First published online: 13 December 2010. Kunz, T., W. Arnett, W. Erickson, A. Hoar, G. Johnson, R.
Larkin, M. Strickland, R.Thresher, and M. Tuttle. 2007. Ecological impacts of wind energy development on bats: questions, research needs, and hypotheses: Journal of Wildlife Management 71:2449–2486; DOI: 10.2193/2007-270. Loesch, C., Walker, J., Reynolds R., Gleason, J., Niemuth, N., Stephens, S., and Erickson, M. 2012. Effect of Wind Energy Development on Breeding Duck Densities in the Prairie Pothole Region. The Journal of Wildlife Management, 24 December, 2012; DOI: 10.1002/jwmg.481. Laurence, W. F. and E. Yensen. 1990. Predicting the Impacts of Edge Effects in Fragmented Habitats. Biological Conservation 55:77-92. Lohr, B., T. Wright and R. Dooling. 2003. Detection and discrimination of natural calls in masking noise by birds: estimating the active space of a signal. Animal Behavior 65:763-777. Manville, A. 2005. Bird strikes and electrocutions at power lines, communication towers, and wind turbines: state of the art and state of the science – next steps toward mitigation. Proceedings 3rd Internatl. Partners in Flight Conference. USDA Forest Service Gen. Tech. Rep. PSW-GTR-191, Vol.2: 1051-1064. McCracken, J. 2005. Where the Bobolinks Roam: The Plight of North America’s Grassland. Biodiversity, Vol. 6, Num. 3, Nov. 2005. Benefit Permits. Ministry of Natural Resources, February 2012. Mooney, A. 2012. WHOI researchers initiate long-term sound study at Cape Wind site. Acoustic Ecology Institute, November 18, 2012. Martin Mere, Burscough, near Ormskirk, Lancashire L40 0TA, UK. Naiman, Robert J., and Robert E. Bilby, eds. River Ecology and Management: Lessons from the Pacific Coastal Ecoregion. Springer-Verlag, N.Y.
Reid, L. M. 1998b. Cumulative watershed effects: Caspar Creek and beyond. In: Ziemer, Robert R., technical coordinator. Proceedings of the conference on coastal watersheds: the Caspar Creek story, 1998 May 6; Ukiah, California. General Tech. Rep. PSW GTR-168. Albany, California: Pacific Southwest Research Station, Forest Service, U.S. Department of Agriculture; 117-127. Reijnen, R., R. Foppen, C. ter Braak, and J. Thissen. 1995. The effects of car traffic on breeding bird populations in woodland. III. Reduction of density in relation to proximity of main roads. Journal of Applied Ecology 32: 187-202. Renewable Energy World Editors. 2010. Measuring wind turbine noise. Are decibel levels the most important metric for determining impact? Renewable Energy News, November 22. Renfrew, R. and C. Ribic, 2003. Grassland passerine nest predators near pasture edges identified on videotape. Auk 120:371-383. Renfrew, R., C. Ribic, and J. Nack, 2005. Edge avoidance by nesting grassland birds: a futile strategy in a fragmented landscape. Auk 122:618-636. Renfrew, R. and C. Ribic. 2008. Multi-scale models of grassland passerine density in a fragmented system in Wisconsin. Landscape Ecology 23:181-193. Salt, A. and T. Hullar. 2010. Responses of the ear to low frequency sounds, infrasound and wind turbines. Hearing Research 268: 12-21. Saunders, D.A., R.J. Hobbs, and C. Margules. 1991. Biological Consequences of Ecosystem Fragmentation: a Review. Conservation Biology 5:18-32. Schaub, A., J. Ostwald and B. Siemers. 2008. Foraging bats avoid noise. The Journal of Experimental Biology 211: 3174-3180.
wind-energy projects. Wildlife Society Bulletin 37: 19-33. Smallwood, K.S. 2000. A crosswalk from the Endangered Species Act to the HCP Handbook and real HCPs. Environmental Management 26, Supplement 1:23-35. Smallwood, K.S., J. Beyea, and M. Morrison. 1999. Using the best scientific data for endangered species conservation. Environmental Management 24:421-435.
finches: implications for noise pollution. Animal Behaviour 74: 363-368. 31 USFWS. 2011. The Effects of Turbine Noise on Wildlife. USFWS October 31, 2011. But scare tactics won’t work here. The costs of disposing of nuclear waste are also enormous. And nobody likes the moonscapes left behind by coal mining. People are beginning to have second thoughts. The eastern state of Saxony has already downscaled its expansion plans. And the state of Thuringia to its west doesn’t want any wind turbines located in its forests. Overall, however, the ranks of fearless politicians whose goal is to build an environmental utopia in Germany remain by and large unbroken. Robert Habeck, a member of the Green Party who serves as environment minister for the northern state of Schleswig-Holstein, sees himself as an agent in the “undertaking of the century.” To underline his determination, he even calls himself the “Minister for the Energiewende.” Today, we are building the infrastructure that will ensure that energy is “as good as free for our children,” he says. It’s hard to see exactly what he bases his calculation on. Consumers are currently paying more and more for power, while others are making a killing. Members of community-owned wind farms are being tempted with returns of between 6 and 9 percent. These profits are fed primarily by subsidies that have previously been hijacked from citizens. Farmers are also making good money on the shift to wind power. Desirable locations for wind turbines can bring in more than €50,000 ($65,000) a year in rent in Bavaria. With prices like that, who wouldn’t want to help promote the cause of clean energy? Baron Götz von Berlichingen, from the village of Jagsthausen in Baden-Württemberg, is a direct descendant of the knight celebrated by Goethe. 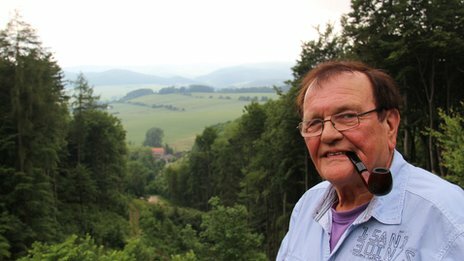 Together with the power company EnBW, he is building 11 wind farms on his property. Used for farming, the land generated at the most €700 per hectare (2.5 acres) — a fraction of what it earns as a site for wind turbines. According to opponents of wind power, that’s why permits to build wind farms are being handed out like there’s no tomorrow. They complain about “brainwashed climate apostles,” “traitors of the countryside” and “greedy power gamblers” who are prepared to sacrifice every last inch of the country to the Energiewende. They are right in claiming that growth is rampant. The German government wants to have renewable sources supply 35 percent of Germany’s energy by 2020. And, in their excessive zeal, the federal states have already designated enough land for green infrastructure capable of lifting this figure to 80 percent within the same period. Instead of banishing the noise-makers to industrial wastelands or erecting them along freeways, they are scattering them across graceful mountain landscapes and areas full of lakes. These plans have admittedly not been properly thought through. But it is the large-scale attack on forests that wind-turbine opponents find the most appalling. The Nordic pine forests, which formed the magical, emotion-filled realm of the German Romantics, as well as the homes of the ash and the oak, are all threatened by the relaxing of the laws. From the Odenwald mountain range stretching across southwest Germany to the birch forests of Mecklenburg in the northeast, giant trucks are pushing their way into the woodlands. Johannes Remmel, a member of the Green Party who serves as environment minister for the state of North Rhine-Westphalia, has announced that he would like to put up around 2,000 wind turbines in the region’s forests. The state of Hesse also wants to cut down thousands of hectares of trees. Some pioneering projects are already underway, such as that in Ellern, a small town in the low mountain range of Hunsrück in the state of Rhineland-Palatinate. Ellern has recently become home to a record-breaking wind turbine some 200 meters tall, or far above the treetops. Semi-trailers pulled nacelles, the enormous housings for wind turbine engines, and transformer stations up the narrow forest roads. A 1,000-ton crane made its way up the slippery slopes to the peak; trees were felled at the side of the road to make way for it. At the top, the forest was cleared to nothing with chainsaws so that concrete foundations could be laid for the turbines. The decision to not build offshore wind farms turns out to be misguided not just for environmental reasons, but also for economic ones. At sea, turbines can achieve 4,500 full-load hours a year. By the coast, the figure is 3,000. Inland, a site is considered good if it produces 1,800 hours. The turbines currently being built across Germany, from the Ore Mountains in the east to Lake Constance in the west, are weaker still. Statistics show that the turbines in the south of the country are generating significantly less power than was predicted. The biggest wind farm in Baden-Württemberg, at a height of 850 meters in the Northern Black Forest, has been a flop for years. “It’s all an enormous swindle,” says Besigheim-based auditor Walter Müller, 65, whose former job involved calculating the value of bankrupt East German factories. Today, he takes the same hard-as-nails approach to examining the books of wind farm companies. The wind turbines, whose job it was to protect the environment, are not running smoothly. Germany’s biggest infrastructure project is a mess. Everyone wants to get away from nuclear. But at what price? Even Winfried Kretschmann, the governor of Baden-Württemberg and the first Green Party member to govern any German state, is sounding contrite. But his resolve remains as firm as ever: “There is simply no alternative to disfiguring the countryside like this,” he insists. The question is: Is he right? Plans to expand wind energy into the most scenic parts of Germany are fueling increasing opposition across the country. 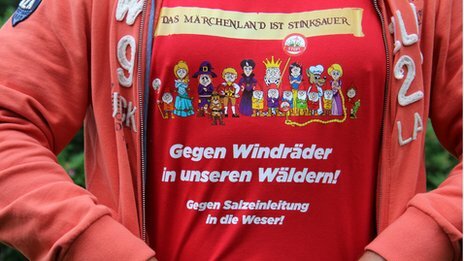 Anti-wind campaigners are angry that areas including the forests made famous by the tales of the brothers Grimm are among the targets for new turbines. For the first time they have formed a national opposition group to thwart the expansion. They say the growth of wind will damage forests and tourism across the country. Germany has embarked on a massive expansion of renewable energy in the wake of the Fukushima nuclear disaster in 2011. Chancellor Merkel’s government decided to phase out atomic plants more rapidly and instead increased the opportunities for green power. WSith guaranteed prices for 20 years thanks to feed-in tariffs enshrined in law, solar farms, biogas plants and wind parks have boomed. There are now 1.3 million small co-operatives and households supplying renewable energy to the grid. This Energiewende or energy transformation has been remarkably successful, with 22% of Germany’s electricity being generated by renewables in 2012. Wind has played a major part in this change, and the public has been generally supportive, despite rapidly increasing energy bills. To date, a majority of the 23,000 wind turbines in the country have been built in the flatter north and eastern parts of the country. But now the focus of expansion is on the picture postcard areas of dark forest and lush green hills in the central and southern areas of Germany. One such region is the Rheinhardswald in the northern part of the state of Hesse. 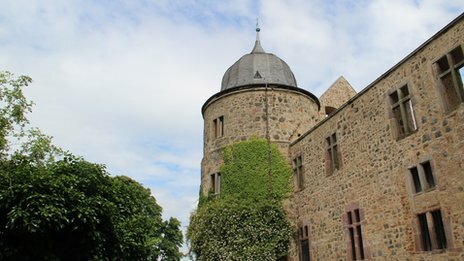 This is the home of the magical tales of Sleeping Beauty, Rapunzel and others, made famous in the books of the brothers Grimm. This quiet, scenic place is a magnet for tourists from all over the world. But now there are also plans to build up to 200 turbines on the surrounding hills. Ann-Kathrin Blankenberg is a PhD student and a vocal opponent of the plans. “It is not because this is the area of Sleeping Beauty,” she says. “I want the green movement, I want green technology, I don’t want nuclear power – but they should be made in the right way and not by destroying the forest. The campaigners argue that putting wind turbines in this area makes no sense. The wind speeds are low and the area is home to some extremely rare birds including the endangered black stork. Across Germany, the plans for expansion have pitted green against green – the potential damage to natural resources from the building of turbines seems to be the biggest concern for opponents. About 170 regional groups opposed to wind energy have now formed a national organisation called Vernunftkraft, to fight the expansion of turbines. They are trying to get enough signatures on a petition to force the German parliament to debate the future direction of the Energiewende, especially the subsidies for wind energy. Some of those involved believe that unlike solar power, which has been adopted by many individual householders, wind parks are essentially speculative investments with electricity consumers guaranteeing a return for developers. At his sleek workshop near Wiesbaden, several hundred kilometres away from the fairytale forests of Sleeping Beauty, Markus Storck designs some of the greenest machines on the planet. His crafted, lightweight bicycles have won dozens of awards. His products sell all over the world and he has also experimented with electric bikes. But he is now vehemently opposing the expansion of wind energy in Germany, and is highly critical of developers and the subsidies that bolster their projects. “They are getting people to invest by telling them they can make money with it, but people will also lose like with the internet. I would call it a wind bubble,” he says. While the protestors are becoming more organised, they still represent a relatively small section of society. 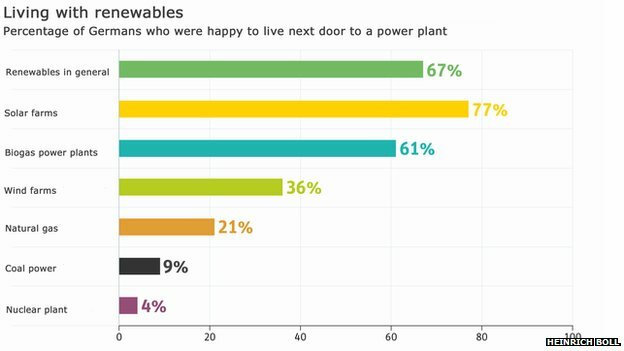 Opinion polls continue to show widespread political support for the energy transformation and for wind energy as well. There is a common belief that opponents of wind are “nimbys” – short for “Not In My Back Yard” – who only complain because the turbines are coming to their local areas. Hans-Josef Fell is the Green MP who is sometimes called the father of the feed-in tariff. In 2000, he wrote the draft of the Renewable Energy Source Act that kick-started the energy transformation. He characterises the opponents of wind as small, aggressive groups. “They don’t bother to have an honest discussion, because they want to prohibit a wind turbine in their backyard,” he says. There are other issues associated with the energy transformation that are troubling environmentalists. The shutdown of nuclear reactors in the south of the country means there is a need to transfer energy from the north. New, high voltage cables are needed to link onshore and offshore wind parks to consumers and industry. But critics are worried that these new cables will not only damage the landscape, they could also be a risk to public health. Going undergroundThere are demands from the Green party that the wires be buried where possible. But many landowners are unwilling to, quite literally, give ground for the projects. In the central university town of Goettingen, local Green party councillor Harald Wiedemann has concerns about how these plans will work. “The problem is, on the one hand the cost, and on the other is the electro-magnetic field – no one has said they will have 1,000kw cables here but in future it is possible”, he says. Whether people are objecting to electricity pylons or the building of wind turbines, much of the opposition appears to be practical and not grounded in climate change scepticism. A majority accept that rising temperatures and the need for secure, sustainable energy sources means the energy transition must go ahead. Back at the home of Sleeping Beauty, the opponents of turbines insist that they are open to compromise. 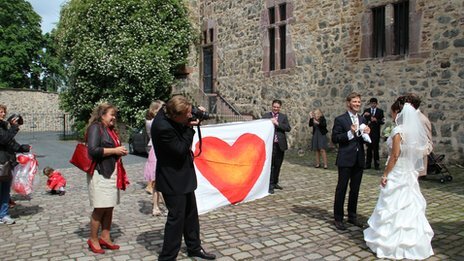 Guenter Koseck, the owner of the castle at Sababurg that is reputed to have been the home of the slumbering princess, says this is not an ideological fight. “This area is owned by the state, so if we get turbines here only because it is the easiest place to locate them and not because it is the most efficient area, then I would object,” he says.